With rumors buzzing around that it’s almost confirmed that Google set is all ready to launch Android Jelly Beans version. But the fact is less 10 percent of Android Devices are using ICS 4 version. Google made an official statement the other day that the Play Store is having over 4.5 million active applications that which is almost close to the number of applications that Apple iStore is hosting. There are android applications that are available for almost every purpose ranging from entertainment, organizing, business, photography, and there are some other apps that helps us to get Paid Android apps for free, what not, we are having applications for almost every damn reason and thanks to Android Developers. Some of the best Android Wi-Fi apps for users are listed in this article. One of the common uses of our smartphones is to surf the web, send mails, download apps, and update social networking site and of course, these can’t be accessed without an internet connection. All most all recent phones have the ability to connect to a Wi-Fi network such as home internet connection or public hot spot. Anyway, the problem starts when there won’t be any internet accessibility when you really need it, due to failure of Wi-Fi connection within the range. As Technology is improving, most of the users who aren’t able to upgrade their Android Devices are getting ready to sell their mobiles. If you are planning to sell your cell phone and get a new device, then don’t forget to recycle it. There are several Android wifi apps that can help you accessing the internet when you need it the most, turning your smartphone into a nearest hotspot or modem. 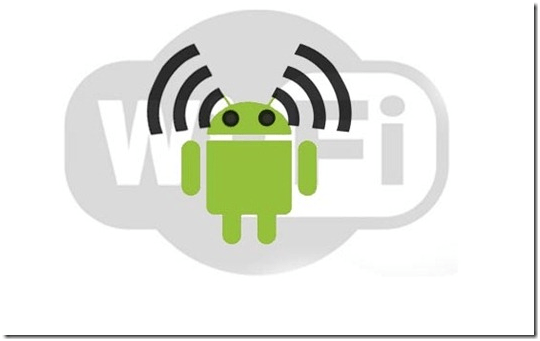 It is one of the most used Android Wifi Applications, that helps us to access as well as Socialize the WiFi networks which allows us to save our pennies without using our 3G network. This applications scans the open and shared WiFi networks and allows us to connect automatically. It keeps on running in the back-ground and it doesn’t squeeze your battery power for sure. Once you get access to the nearby WiFi connectivity, this application allows us to sync our Gmail emails, Twitter, Facebook, etc., allowing us to update these sites all the time. There ought to be a problem with the net connection whatever you opt for, but it can be solved very easily with the fixer app. If you find that you often have issues with disabled, blocked or disconnected net connection, Wi-Fi fixer app is the perfect solution. It finds out the bug blocking your internet access, and maintains the wireless connection automatically. This app costs is available in free and well as donate versions. It is one of the best applications to manage Wifi connections. You can search, find, connect, and manage all the Wifi networks around us. It even plays an important role to improve the network signal and also it helps us to find out to open network. It provides us with some beautiful home screen widgets, that allows us to switch from one network to the other with single tap, displays connection info and many other features makes it one of the decent Android appications. It is one of the most used Android Wifi applications. It provides automatic and seamless WiFi connectivity anywhere. Initially, it is called as WeFi. It automatically connects us to the best and strong network connections around us by helping us to enjoy browsing or sharing files without any disturbance. So, go ahead, and download these cool Android Wi-Fi apps on your Android Devices today!